September 4, 1862 – Washington, D.C.
Harland’s Brigade (at the time consisting of only the 8th and 11th) conducts a march through the streets of Washington and settles again into their camp on the grounds of the Capitol. The march is noted in the Washington newspapers and the regiment is so impressive that the 8th is mistaken for troops of the Regular Army. Today is very special because Oliver and his friends will receive a large amount from of mail from home for the first time in many days. Up the Potomac from Washington, Lee has sent the division of division of General D.H. Hill across the river at Edward’s Ferry. Thus, the invasion of Maryland by the Army of Northern Virginia has begun and the Confederates are now on a course that will guide them to the town of Sharpsburg in less than two weeks. [i] History of the Eighth Regiment C. V. Infantry, J.H.Vaill, Case, Lockwood, and Brainard Co, Hartford, 1889. This entry was posted in 17 Days in September. Bookmark the permalink. 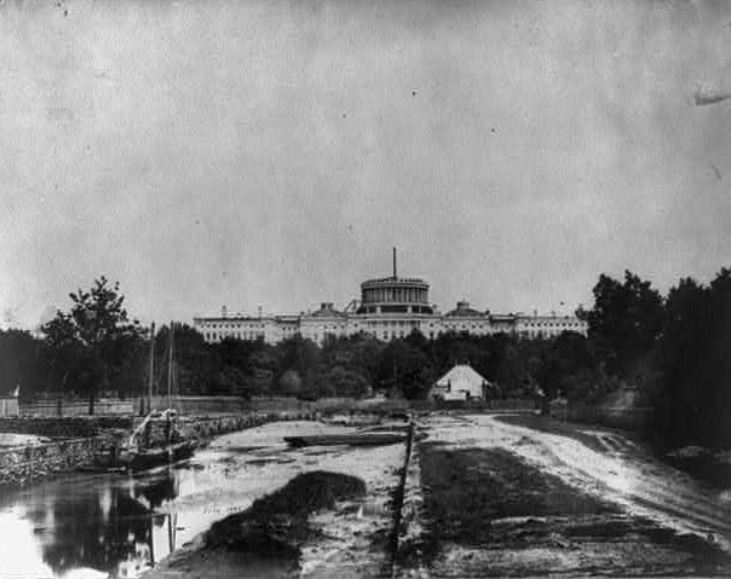 ← September 3, 1862 – Washington, D.C.